Note: This is a guest blog post by Shane Barker. The views and opinions expressed herein are those of the author. If you’ve been in the digital marketing industry for a while, you know that SEO and affiliate marketing have had a rocky history. The assumption is that affiliate links mar the SEO efforts you put into your website. And whenever there’s a drop in rankings for affiliate sites, the blame automatically falls on those links. But it doesn’t necessarily have to be this way. If done right, affiliate marketing can deliver SEO value for both affiliate websites and brands. For that to happen, you’ll need to carefully align your SEO and affiliate marketing efforts. This post will provide you with tips to do just that. Some of these tips are specific to affiliate marketers, while some are applicable to both brands and affiliate websites. Focusing on a very broad topic can be detrimental to your search engine rankings. That’s mainly because you’re trying to rank for everything, which can be extremely challenging. Instead, focus on a more specific niche, even within a single industry. For example, instead of covering beauty products in general, you could focus on cruelty-free beauty products. This will make it easier for you to boost your rankings for a few relevant keywords before you can further expand your niche. But that doesn’t mean you can just pick any niche that you’re interested in. Look for the most profitable niches within your industry using platforms like ClickBank. 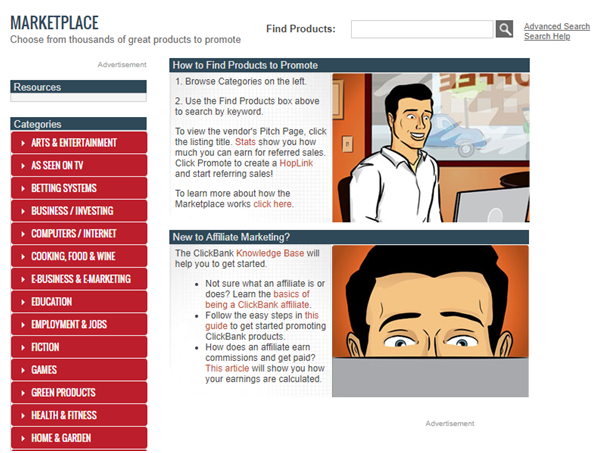 Visit the “Affiliate Marketplace” on this site and choose the category that you’re most interested in. This is a metric used to measure how well a certain product sells within their niche. See which programs have the highest Gravity score to get a fair idea of the most profitable niche within that category. For example, the screenshot below shows that the products with the highest Gravity scores in Health and Fitness are related to weight loss. This suggests that weight loss products can be a profitable niche within this industry. You can also check out Adam Enfroy’s compilation of the highest paying affiliate programs to help with your research. Brands should also consider the relevance of a website to their niche when recruiting affiliates. They should avoid accepting each and every affiliate application (and avoid automatic approvals). This is crucial because Google will consider the relevance of sites linking back to you when ranking your site. Just like you should get more specific with your niche selection process, you should also get more specific with your keyword research. Avoid generic keywords, even if they’re relevant to your industry. Instead, look for long-tail keywords and keywords that are more specific to the products you’re selling. This applies to both brands and affiliate marketers. Brands can provide their affiliates with a set of high-ranking, low-competition keywords that are highly relevant to their products. They can further provide their affiliates with a set of anchor texts that they’d like to associate with their links aside from the basic tool kit. Affiliates can also look for highly relevant keywords to use in their content for better visibility. Some keywords will even give them an idea of what kind of content to create to appeal to their audience and boost their ranking. Aside from Google Keyword Planner, you can use Answer the Public to get ideas for long-tail keywords to use in your content. Just enter a relevant phrase and the platform will bring up the most popular questions that people are asking about on that topic. It’ll also show you other popular search phrases related to that topic. 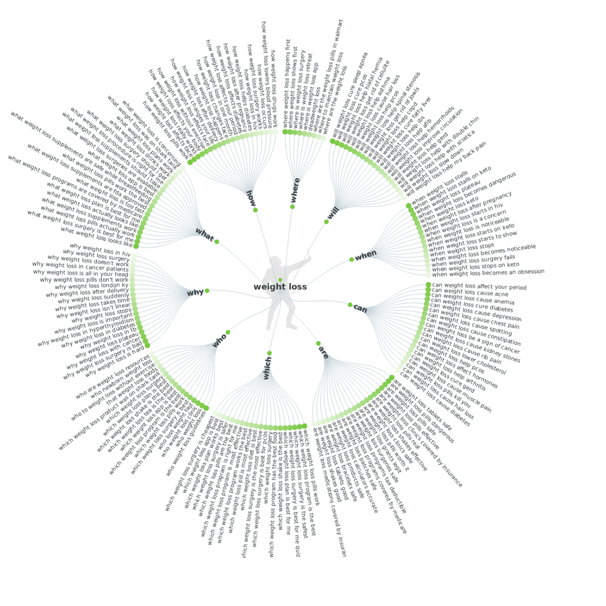 Further, you can use tools like Pro Rank Tracker to analyze the search volume of the keywords you’re interested in using. Narrow down on the keywords with the highest search volumes. This tool even helps you keep track of all the keywords for which your website is ranking. So you’ll be able to look for generic, underperforming keywords that you should exclude from your strategy using this tool. You can even identify keywords for which you’re getting some traction even though you’re not targeting them. Perhaps you could consider including them in your strategy to further boost your ranking for those keywords. Affiliate marketing and SEO both depend on quality content for their success. This is perhaps the best way to align the two so that brands and affiliates can get SEO value out of their affiliate marketing efforts. Instead of being too pushy or overly promotional, your content should be useful to the audience. It should provide them with valuable information and actionable ideas. The goal is to gently draw them in and gradually drive them towards a conversion. This works, even for SEO, because Google considers factors like content quality, user engagement, etc. when ranking a web page. So your content will gain more visibility and authority in relevant search results. This inadvertently affects the SEO of whichever brands you’re promoting in a few ways. First, they’re getting quality backlinks from a high-authority site, which is an important ranking factor. Plus, the increased visibility of your content is likely to boost their traffic as well. Since your content is highly valuable to the audience, most of the traffic you drive to a brand’s website will be made up of truly interested visitors. All of this provides an SEO benefit to both you and the brand. The best way to create high-value content is to focus on providing your audience with the information they need. As recommended earlier, use Answer the Public to discover popular queries that people have within your niche. This will help you understand what kind of information that your audience is looking for, and you can create highly informative content to cater to their needs. According to yellowHEAD, there is a strong correlation between social signals and search rankings. This means that a strong presence on social media could result in higher rankings in relevant search results. You could achieve this by being more active on social media platforms, gaining more followers, and boosting your engagement rate. You should strategically share your content on social media to drive more traffic to your site and boost your ranking. Analyze your post performance and find out when is the best time to post on social media. You can use tools like Keyhole to get an idea of the optimal post time for your brand or website. Sharing your content when your audience is most active will improve your chances of driving clicks to your site. As you drive more relevant traffic to your site, you could also drive more conversions for your affiliate promotions. You could further amplify your efforts by getting your readers to share your content within their own networks. Have a clear call to action at the end of your posts and a social share button so they can easily share the post on relevant social media channels. You already know that user-generated content can instill trust in the audience – a fact that’s true for both affiliates and brands. This increased trust helps drive conversions as well. According to Yotpo, visitors who saw content from other customers had a 161% higher conversion rate than visitors who didn’t. 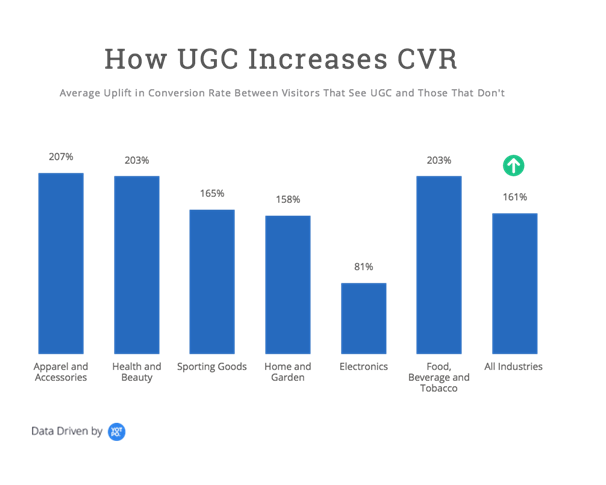 In addition, UGC also provides SEO value for both brands and affiliate marketers. This is because search engines consider UGC as fresh and relevant content, which it will then use when ranking your site. Besides, your audience could be unconsciously using long-tail keywords when they explain what they love about the product. This helps your site rank for those keywords. Affiliates should encourage their audiences to share their thoughts on the products they’re promoting in the comment section. Encourage them to try out the products and share their experiences via comments or social media. You could also ask them to share their images, reviews, and videos on social media and tag them. Compile this user-generated content and share it on your website. Brands can follow the same tactic when it comes to their affiliates. In addition to sharing the content created by affiliates on social media, you could highlight some of the best quotes and feature them on your site. This tactic would be particularly effective for instilling trust if the affiliate has significant authority in the niche. It would be just like how GroupHigh features reviews from their clients on a separate page. You could compile reviews, comments, and images from both customers and affiliates, if you’re a brand. If you’re an affiliate, you could compile user submissions on a separate page and make your community feel more included. These tips should can help you get SEO value from affiliate marketing, whether you’re a brand or an affiliate website. The main idea behind these tips is to focus on aligning your SEO and affiliate marketing efforts. Got any questions about the tactics discussed here? Feel free to ask them in the comments below.